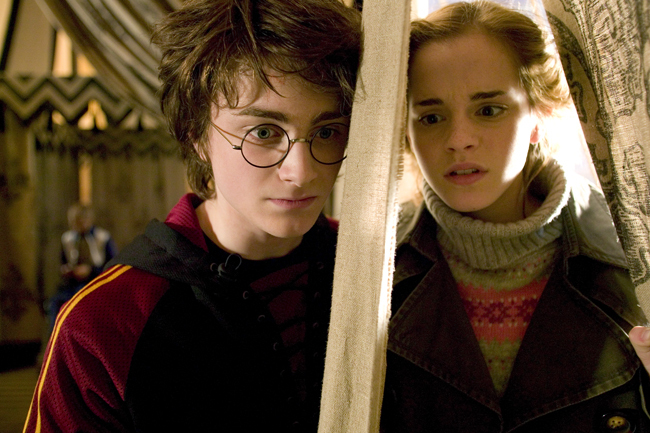 Warner Bros. has published their 2005 movie preview kit and included were the first official photos from "Harry Potter and the Goblet of Fire," which is slated for release in November. The first is of Harry and Hermione looking dreadfully worried about something (the first task of the Triwizard Tournament, perhaps). The second shows Ron and Harry in their Yule Ball tuxedos.